Elijah the prophet - a figure of the coming? As we read from the Bible the story of Moses, Elijah and Jesus meeting together on the mount of transfiguration, we might certainly ask a question: why does Elijah represent the prophets? Why not Isaiah, Ezekiel or Jeremiah? Perhaps it's a clue that there's something particularly important regarding Elijah. Every kingdom has its own laws and so does the kindgom of God have its laws which were delivered by Moses. As a quick warning, these laws are mostly spiritual and should not (always) be read according to letter. For example, Jesus fulfilled the law and yet didn't stone anyone to death. Those stoning other people to death were actually breaking the law as it says 'thou shall not kill'. Let's go back to the original topic. In fact, you see there Moses the Law, Elijah the prophet and Jesus the gospel, or the fulfilment of the law and the prophets. It's fitting to say "the law and the prophets" in plural because not only Elijah was a prophet but so was also Moses and Jesus. Moses prophesied of Christ in the following manner: "The Lord thy God will raise up unto thee a Prophet from the midst of thee, of thy brethren, like unto me; unto him ye shall hearken; (Deut.18:15, KJV)." Let us spare a moment with the Books of Chronicles and the Books of Kings. These books were originally composed in a different way. The Books of Kings (1st and 2nd) were combined into one large book. The same was the case with the Books of Chronicles. They were split into two books later into the form found in the bibles these days. These splits served surely a purpose. At the end of the 1st Book of Kings you find the prophet Elijah. Also, Naboth, the owner of the vineyard - a figure of Christ (1.Kings.21), is slain. In the new testament we can read: "But when the husbandmen saw the son, they said among themselves, This is the heir; come, let us kill him, and let us seize on his inheritance (Matt.21:38, KJV). Fittingly it is also mentioned: "17 And he said, I saw all Israel scattered upon the hills, as sheep that have not a shepherd: and the Lord said, These have no master: let them return every man to his house in peace." (1.Kings.22). Compare it to Matthew 26: "31 Then saith Jesus unto them, All ye shall be offended because of me this night: for it is written, I will smite the shepherd, and the sheep of the flock shall be scattered abroad.". Moreover, Elisha had twelve oxen, which we would call a figure of the disciples of Jesus (1.Kings.19). Elisha presents the followers of Jesus, and thus they, apostles, performed similar miracles as He did. 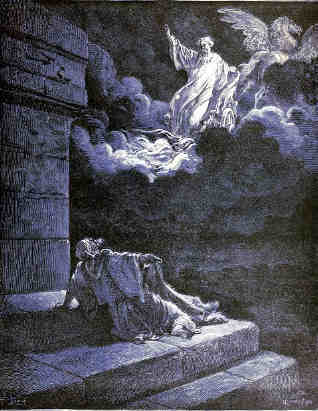 In the beginning of the 2nd Book of Kings Elijah ascends to Heaven. In the new testament, after the resurrection of Christ, there's the ascension of Jesus, 40 days later. In like manner, the 1st Book of Chronicles ends with the start of Solomon's reign. That is figuratively Christ (Solomon the son of David) riding on the donkey and entering Jerusalem. On the 2nd Book of Chronicles they start building the Temple. In 1.Chronicles.29, it's interesting to note that the priest Zedok is mentioned: "And they made Solomon the son of David king the second time, and anointed him unto the Lord to be the chief governor, and Zadok to be priest." (1.Chronicles.29:22). Zadok is fittingly mentioned in the 44th chapter of Ezekiel: "But the priests the Levites, the sons of Zadok, that kept the charge of my sanctuary when the children of Israel went astray from me, they shall come near to me to minister unto me, and they shall stand before me to offer unto me the fat and the blood, saith the Lord God" (Ezekiel 44:15). Let's not go off-topic though. In the 2nd Book of Chronicles we may read of the Queen of Sheba. From Acts.8 we find the Candace queen of the Ethiopians who receives the Holy Spirit. Perhaps these ideas may provide some clues of what Elijah was all about and why it was fittingly Elijah on the mount of transfiguration? Perhaps? 40 days the israelites were spying the land of promise, 40 years they spent time in the wilderness. Three years and six months Christ himself had his public ministry, or about 1260 days (I don't want to be exact here! ), so 1260 years are the israelites without the true light - the heaven is shut up? When the time is up, Elijah returns. Paul of Burgos (also known as Solomon ha-Levi de la Caballeria) and Nicholas of Lyra meet this period, 1260 + 30 (start of the public ministry) = 1290. Lyra was born in 1270, Burgos 1351. Unfortunately the awakening among the Jews was short-lived. Similary Elijah escaped to the mountains, to the wilderness, signifying the Gentiles. Next, let's look at the same issue from a different perspective with the example of Moses. You surely remember the birth of Moses. He was caught by the Pharao's daughter. Moses' mother fed him. Moses the law was rejected by most of the Jews, they took it literally. So they rejected Moses the law - which is spiritual - and the Gentiles found him from the river (Pharaoh's daughter). He was particularly fed by the Hebrew authors (like Moses' mother fed Moses) like Apostle Paul, Apollos, disciples and the author of the the Letter to the Hebrews: "12 For when for the time ye ought to be teachers, ye have need that one teach you again which be the first principles of the oracles of God; and are become such as have need of milk, and not of strong meat." (Hebr.5) Interestingly, this Letter was addressed to the Hebrews! But Moses the law grew among the Gentiles. When he was 40 years, he visited the other Hebrews (and killed an egyptian) But they rejected him! In like manner, some men like Solomon ha-Levi tried to preach the gospel upon the Jews, after Nicholas of Lyra, but with no great success. Later, Aaron the priest went to meet Moses in the wilderness (signifying Gentile land). "43 Now then, my son, do what I say: Flee at once to my brother Laban in Harran. 44 Stay with him for a while until your brother's fury subsides." and later these brothers, Jacob and Esau, meet. Similarly, Joseph, a type of Christ, is in the land of Egypt - among the Gentiles - and Jacob and his sons meet him there. There are numerous verses addressing this issue of the meeting of the Gentiles and the Synagogue, Luke 21:24 being also one of them. Now to the point. I understand that perhaps 99.99% of the Christians that claim to be Christians just aren't. They might confess as being christians, but it's on their lips only, not in their hearts. However, I know that there's Christians that really have their heart circumcised - but they represent a very small portion. 8 And when I beheld, lo, the sinews and the flesh came up upon them, and the skin covered them above: but there was no breath in them. 9 Then said he unto me, Prophesy unto the wind, prophesy, son of man, and say to the wind, Thus saith the Lord God; Come from the four winds, O breath, and breathe upon these slain, that they may live. 10 So I prophesied as he commanded me, and the breath came into them, and they lived, and stood up upon their feet, an exceeding great army. 11 Then he said unto me, Son of man, these bones are the whole house of Israel: behold, they say, Our bones are dried, and our hope is lost: we are cut off for our parts. 12 Therefore prophesy and say unto them, Thus saith the Lord God; Behold, O my people, I will open your graves, and cause you to come up out of your graves, and bring you into the land of Israel. 13 And ye shall know that I am the Lord, when I have opened your graves, O my people, and brought you up out of your graves. 14 And shall put my spirit in you, and ye shall live, and I shall place you in your own land: then shall ye know that I the Lord have spoken it, and performed it, saith the Lord. Please remember how the bones of Joseph were carried to the land of promise from Egypt. It was Moses who took his bones. Now, as Joseph himself was a prefigure of Christ (as you may read about the countless similarities between these two), you see something very important: bones of the figure of Christ being carried to the land of promise. Eventually they were buried in Shechem. Jesus fulfilled the law. For you see, no bones were broken. This means the law wasn't broken, but fulfilled. Many prophets were killed before the birth of Christ - so they pierced his side (the flesh). The devil had no power over Christ - so He resurrected. Without the Spirit one is spiritually dead. Even if you'd know all what's in the Bible - it just isn't enough. You need the Holy Spirit in order to live. Faith comes from hearing the message - not by reading. However, reading may lead to the border of the kingdom of God. It's this Apostolic faith they were believing. This is the faith that saves. If you don't believe, you'll see it in the last judgement - but that's far too late for you to benefit any! In the beginning of the 2nd Book of Kings, Chapter 2 you find that Elijah was taken up to heaven. The route (Gilgal, Bethel, Jericho, Jordan) doesn't seem to be exactly the reversed order in which Joshua and the Israelites enter the promised land (Bethel, Jericho, Gilgal, Jordan). However, the last thing Elijah does is the crossing of the river Jordan. This signifies a journey from one kingdom to another - going from the kingdom of God here on earth, the spiritual Israel, to the glory of heaven. Perhaps the order was different as the destination was not the wilderness but the heaven. Although the promised land had its borders from the Red sea all the way to the river Euphrates during the reign of David, they initially crossed Jordan with Joshua. Moreover, at the time of Christ, the kingdom was not close to the size it used to be when Solomon and David were ruling. Now that these things are so well constructed people wish to pervert the law. They might claim contraception is fine, although it's written 'be fruitful'. Perhaps they might want to be fruitful according to their own knowledge. That is an example of the dead men's bones full of uncleanness! Yet they might claim that drinking alcoholic beverages to some extent is fine. However, the law states the opposite. You are not saved by doctrine that has broken bones. Even the Scribes and Pharisees had the law but interpreted it in according to their deceitful manners - and thus were full of unclean, dead men's bones. They still had the correct bones (the law) even though they didn't understand it properly (Matt.23:2). Thus, the bones were unclean, or sinful so does speak but not broken. Watch out for the broken and unclean bones! That's something the world provides you every day! The law, prophets and our Saviour Lord Jesus form a complete body. 12 Just as a body, though one, has many parts, but all its many parts form one body, so it is with Christ. (1.Cor 12, NIV) Jesus lives, and the bones do not belong to the dead. 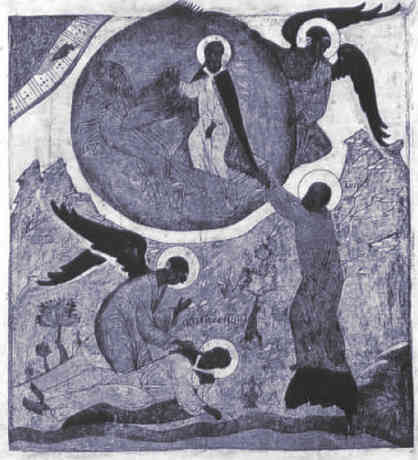 Ambrose of Milan, in the 4th century mentioned that on the mount of transfiguration Jesus was in the middle while Elijah and Moses stood beside him. For you see, Moses the law must die in you so that the prophet Elijah may ascend to heaven. In like manner, you see two malefactors being crucified beside Jesus Christ: one dies, and unto the other it's said "Verily I say unto thee, Today shalt thou be with me in paradise" (Luke 23, KJV). We all are under the judgement of the law, but the faith in Christ saves us like the other malefactor gets into paradise. Without the apostolic faith, there's only judgement! As it's written of Moses: "but no man knoweth of his sepulchre unto this day" (Deut.34:6) it's still valid even today: when a person repents from all his sins by hearing the gospel from a person with the Holy Spirit, the law dies in the person and nobody can point out where its sepulchre is. How does the law die in someone? It no longer charges or sues the conscience. This is as far as we can dare to climb up the mount of transfiguration. Praise Him to whom be glory for ever and ever.